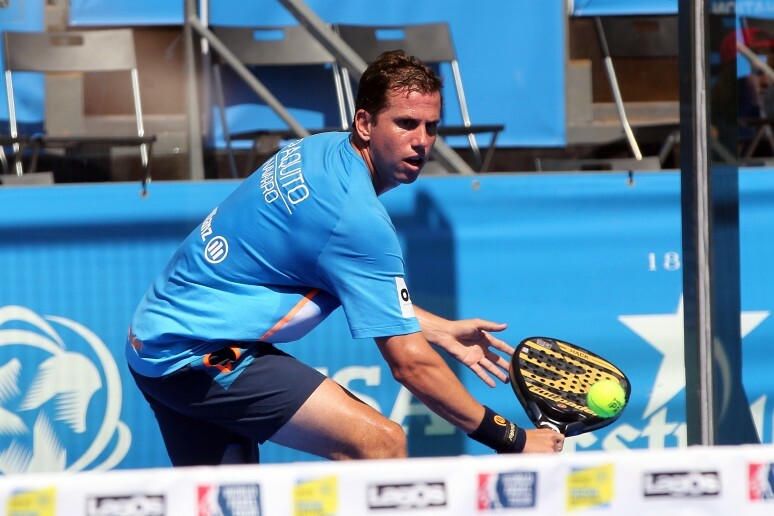 An unfortunate accident during the semifinals of the Oeiras Valley Portugal Padel Masters has forced Paquito Navarro to retire. One of the glass walls at the back of the court smashed during the eleventh game of the second set and left the Andalusian player with severe cuts. Navarro was taken immediately to the Hospital de Såo Francisco Xavier to receive treatment on the cuts he sustained. The player's health isn't in danger and he was accompanied at all times by a member of the tour's medical staff and his father. The score in the semifinal was 6-3 / 5-5 to Diaz and Navarro against Juan Mieres and Miguel Lamperti and the retirement means the Argentines will be in the final. From the World Padel Tour we wish him a speedy recovery.